New modern 1 bedroom apartment in the heart of Astoria 10 minutes away from midtown Manhattan. The train is located steps away from N and W train. A must to visit in New York. Close to everything! Right in the heart of Woodside-Queens you will be 3 minutes walk to 7 express train and Long Island Rail Road trains. 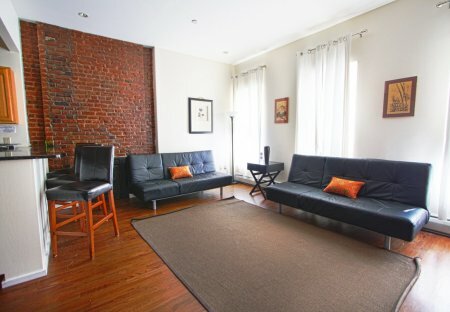 This 2 bedroom apartment is located in New York and sleeps 3 people. It has WiFi and air conditioning. This 1 bedroom apartment is located in New York and sleeps 5 people. It has WiFi. This 1 bedroom apartment is located in New York and sleeps 4 people. It has WiFi and air conditioning. This studio apartment is located in New York and sleeps 3 people. It has WiFi and air conditioning. This 1 bedroom apartment with swimming pool is located in New York and sleeps 5 people. It has WiFi and air conditioning. This studio apartment is located in New York and sleeps 4 people. It has WiFi and air conditioning. This 1 bedroom apartment is located in New York and sleeps 5 people. It has WiFi and air conditioning. 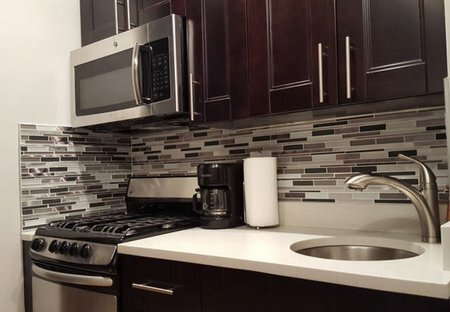 New modern 2 bedroom apartment in the heart of Astoria 10 minutes away from midtown Manhattan. This studio apartment is located in New York and sleeps 3 people. It has WiFi, parking nearby and air conditioning. This 3 bedroom apartment is located in New York and sleeps 7 people. It has WiFi and air conditioning. This 3 bedroom apartment is located in New York and sleeps 6 people. It has WiFi and air conditioning. This apartment is located in New York and sleeps 4 people. It has WiFi and air conditioning.